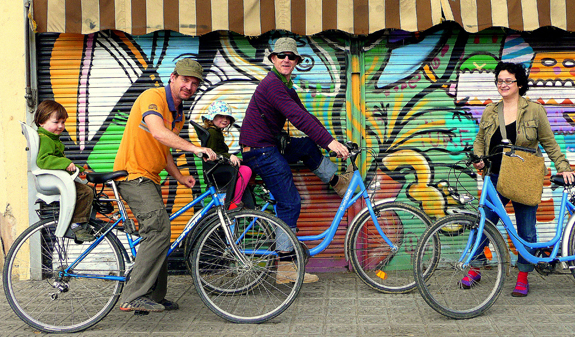 Explore the magic mountain on two wheels! 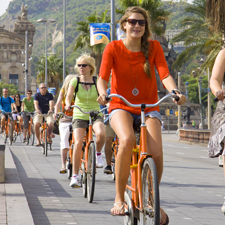 This is a great bike tour if you want to enjoy a relaxed, fun atmosphere as you ride to the top of Montjuïc hill where you’ll enjoy breathtaking views of Barcelona. A ride surrounded by nature without having to leave the city! 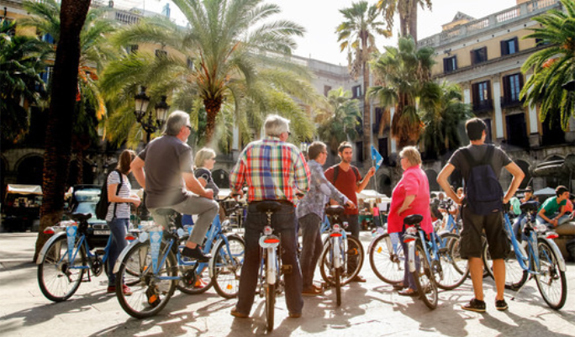 See Montjuïc hill as never before on a fun bike tour which will give you an insight into the history of Montjuïc while you cycle along traffic-free roads, bike lanes and through pedestrianised areas. 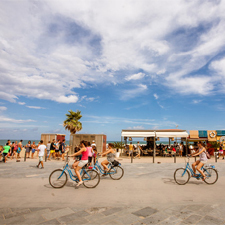 The route begins at the Columbus Monument from where you’ll pass the medieval shipyards, the Drassanes Reials, the old harbour, the Port Vell, and wind your way through the Raval district until you get to the Plaça Espanya. 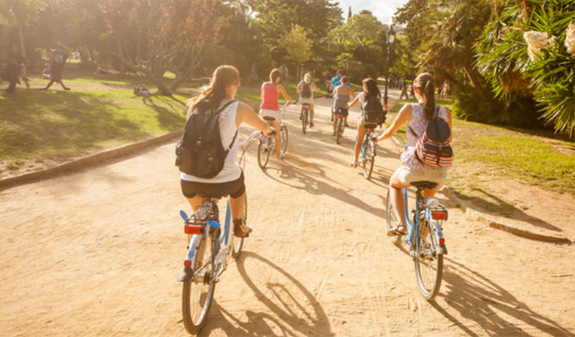 You’ll cycle up the Avinguda Maria Cristina, the backdrop to the 1929 International Exhibition, where you’ll find the different exhibition halls as well as the amazing Magic Fountain which you have to see lit up at night. 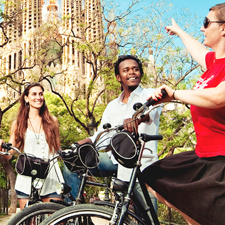 You’ll continue behind the Palau Nacional, and visit the Palau Sant Jordi and Olympic Stadium, the Fundació Joan Miró and the Montjuic belvedere where you’ll enjoy matchless views of the sea and city before you begin your descent. 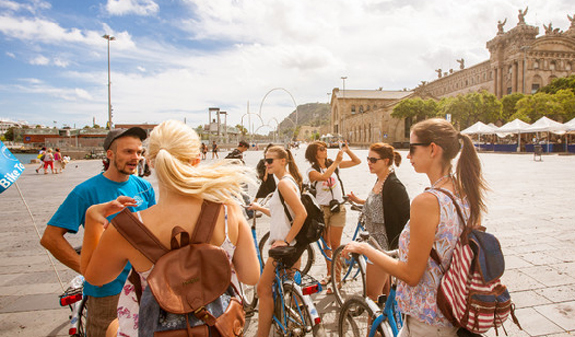 A tour designed specially so you can have a great time!. Three-hour tour led by a professional guide. Free helmets and child seats. Times: tours run daily at 11am and 4pm. Closed: 25th and 26th December and 1st January. Meeting point: Marquesa, 1. Metro: L4, Barceloneta stop. Bus: 14, 39, 59, 64, D20 and H16. Please arrive 10 minutes before the tour departs. Under 15s must always be accompanied by an adult. Free for children under 22 kg, travelling in a child’s seat. Departures are subject to a minimum number of two. 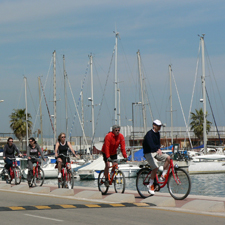 Groups of 4 people or more: French, German, Italian, Duch, Catalan and Spanish. For bookings call +34 932 853 832.